Sometimes, you may have a non-emergency question or illness when your personal doctor is unavailable. When this occurs, Network Health offers two options for non-emergent care that are available 24 hours a day, seven days a week. Network Health’s Nurse Line is available when you have health care questions—any time of the day or night. This free 24-hour advice line is available 365 days a year through Health Dialog and provides instant access to registered nurses who can provide helpful information you can trust. 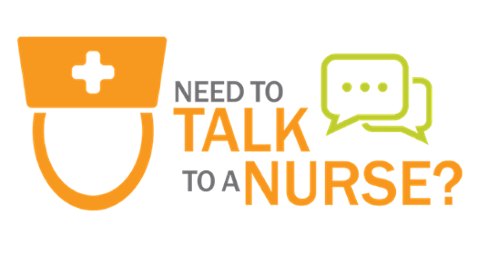 Network Health members can reach the nurse line at 888-879-8960 (TTY 888-833-4271). When should you call the nurse line? Virtual visits, brought to you through MDLIVE are a great way to save time and money when you experience non-emergency symptoms. By using your phone, smartphone, tablet or computer, you can connect with a board-certified physician or pediatrician for treatment of a wide range of conditions—24 hours a day, seven days a week. You can also get prescriptions filled, if needed. Online doctor visits through MDLIVE are a convenient and affordable alternative to urgent care or a doctor visit, if your personal doctor isn't available. Register for MDLIVE today, so your account is ready when you need it. Set up your Network Health MDLIVE account in one of four ways. Log in to your member portal at login.networkhealth.com and click Virtual Visits. Once you've set up your MDLIVE account, you'll be able to seamlessly access it from your member portal. Text NETWORK to 635483 to be walked through step-by-step registration on your phone. MDLIVE can assist with these conditions and many more.